Quality is at the heart of everything we do at EnSilica. As part of our dedication towards providing high-quality solutions in the design, manufacture and supply of reliable and innovative SOC and ASIC solutions we strive to comply with or exceed international standards. 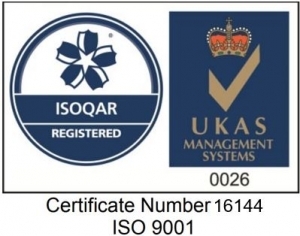 Our quality management system is certified to ISO 9001:2015 and we rigorously apply ISO business processes to all our customer engagements and business activities and back this up with a commitment to drive continual improvement in everything that we do. Based on a wealth of experience and our drive to meet customer needs, EnSilica can ensure that the solutions we design will conform to a wide range of industry-specific quality and safety standards; including automotive, defence, aerospace and medical standards. The solutions we design use only carefully selected and rigorously qualified and approved manufacturing partners and components; from wafer fabrication and assembly to final system test and shipping. We are passionate about providing the best possible solution for your design. Each project is carefully planned and tracked using a structured methodology to ensure that the key objectives are met. At the end we conduct a comprehensive review as we recognise the importance of continually improving our processes to ensure we meet the needs of our customers.